You know how dedicated MMO players say that the game is “just beginning” when you reach the level cap? 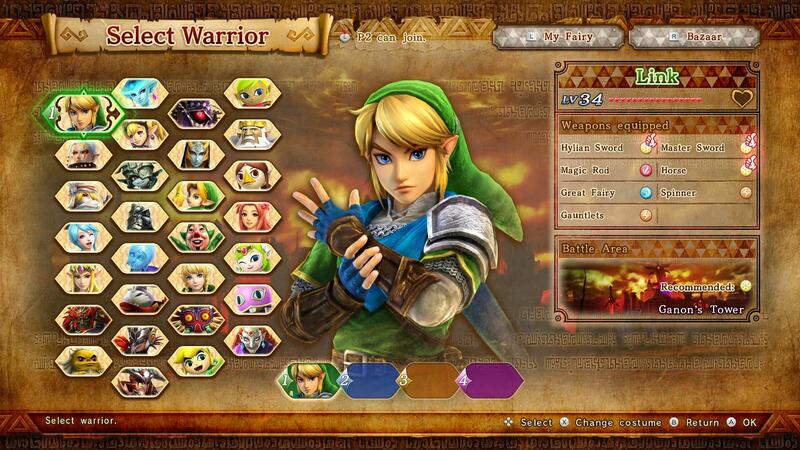 Hyrule Warriors is a bit like that in some respects; completing the main story mode is far from the end of the game. 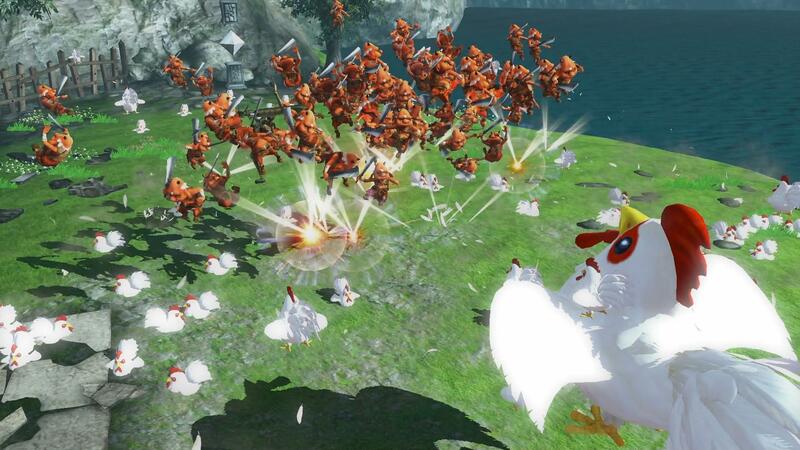 In fact, one might argue that the “endgame” of Hyrule Warriors, if you choose to look at it in that way, is in fact the most substantial meat of the package. Eschewing the narrative focus of the main story mode in favour of a non-linear, mechanics-centric experience that is all about just having fun as you see fit, this part of the game will keep you busy for a long, long time. And, moreover, it will do this not by forcing you to grind the same things over and over again, but instead by offering you a huge variety of different, highly replayable challenges that each put their own fascinating twists on the core mechanics of the game. 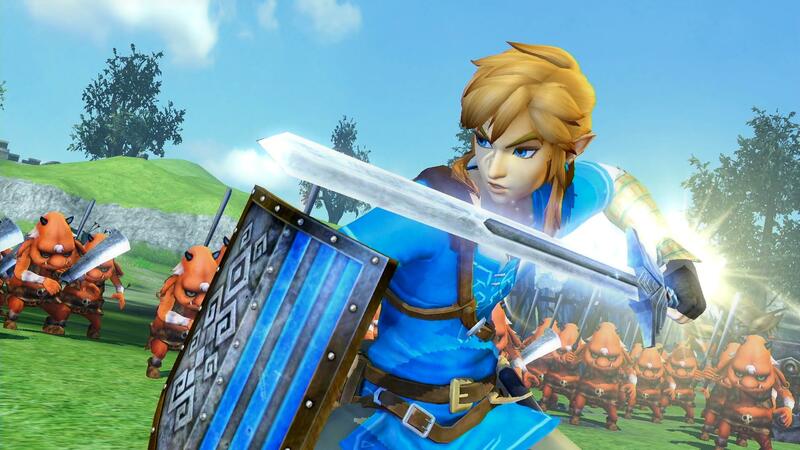 Mastering characters in Hyrule Warriors has three main components, and a few side activities. Firstly and most straightforward is levelling each character up to 255; this can be done the hard way simply by grinding, or you can make use of the rupees you earn through battles to “buy” levels for your various warriors, up to the maximum of whatever your current highest-level warrior has reached previously. Secondly is crafting all the “badges” for a particular character, which involves acquiring material drops from enemies and making use of them to extend your various weapons’ combos, add helpful passive special abilities and extend your warriors’ capabilities. This starts out simple enough, but in order to unlock the upper tiers of each of the three “skill trees”, you’ll need rare drops from specific enemies, so you’ll have to deliberately seek out battles in which you can take on those enemies for a chance at getting their sweet loot. Thirdly, and probably most significantly, is collecting and upgrading your warriors’ weapons. Each warrior starts with a single type of weapon at its lowest tier and, over the course of a variety of different activities across the full breadth of the game, can unlock several others, along with higher-tier versions of the same weapon. The ultimate “aim”, if you’re a goal-oriented sort of person, is to get the highest tier of all the weapon types for every character in the game, and ensure that the particular incarnation of that weapon you have has the most optimal loadout of attached passive skills. This is a long process that relies partly on random chance and partly on a selection of mechanics that allow you to manipulate the skills attached to weapons, either removing unwanted skills to empty slots or “fusing” weapons together to take skills from one and attach them to an empty slot on another. The random chance aspect comes in the weapon drops. Various stronger enemies and treasure chests throughout the game will drop weapons, though you don’t know what you’ve looted until you clear the battle you’re on. Each weapon you pick up can be any of the ones you’ve already unlocked in the game, not necessarily one for the character you’re currently playing as, and will have a “star” rating between zero and five. Higher-rated weapons will have a higher base attack power that will be added to your warrior’s base strength score (which goes up with their level), but not necessarily better skills. What you’ll want to do while unlocking weapons is to set your sights on a five-star variant of your current tier of weapon, then make use of the fusion mechanics to give it a loadout of skills suitable for what you’re trying to do. Those skills have a huge amount of variety in them. Some have an immediate effect such as buffing the damage of various combos or enhancing the elemental effects some weapons have. But arguably the more useful skills are those that increase the chance of various types of item drop while you wield that weapon. Some increase the likelihood of acquiring weapons with higher star ratings; some make it more likely you’ll find weapons with more available skill slots. And there are also skills to increase the amount of experience and Rupees you acquire over the course of a mission, too; you really can build a “loadout” to suit your requirements at any given moment. So what, exactly, will you be using those weapons for once you’ve cleared the main story mode? Well, going through the story mode again on a harder difficulty to acquire a new set of hidden Skulltulas that unlock, for starters; while the Skulltulas available in your first playthrough simply require you to score a thousand KOs and then track down the shiny arachnid, the harder ones have specific prerequisite conditions before they’ll appear, based on the events that unfold in the level. In some cases, these objectives are partially obscured, and you’ll have to figure out what they’re asking you to do in order to acquire them. Collecting a Skulltula rewards you with a piece of one of several different illustrations. Completing an illustration unlocks a scenario on a special “Rewards” map, and these are particularly good for grinding materials, weapons and suchlike. Plus they’re a nice, concrete “collectible” that you can easily keep track of, so that’s one thing you can choose to focus on while playing through the game if you so desire. Beyond that, you have a couple of options. Challenge Mode offers a selection of time-limited scenarios in which you’re challenged with various objectives such as simple survival or racking up as many KOs as possible, though it also provides an enormously fun mode where you get to go on a rampage as Ganon for a bit — excellent for some stress relief, and there’s a surprising amount of substance to it, too, with varied challenges and objectives to complete. The main meat of the game, though, is Adventure Mode. Here, you work your way through nine different maps based on various installments in the Zelda series in an attempt to track down a particular incarnation of Ganon and defeat him… and, of course, collect all the goodies that are scattered all over the map. Each map is presented with an NES-style aesthetic, with the grid-based layout roughly (or, in the case of the two based on the original The Legend of Zelda, exactly) corresponding to its source material’s overworld map. You’ll begin on a particular square and have to clear that battle to proceed; from there, adjacent areas will unlock according to your performance, and reaching specific parts of the overall map will “scout” the region, allowing you to see which rewards you might want to take aim for next. 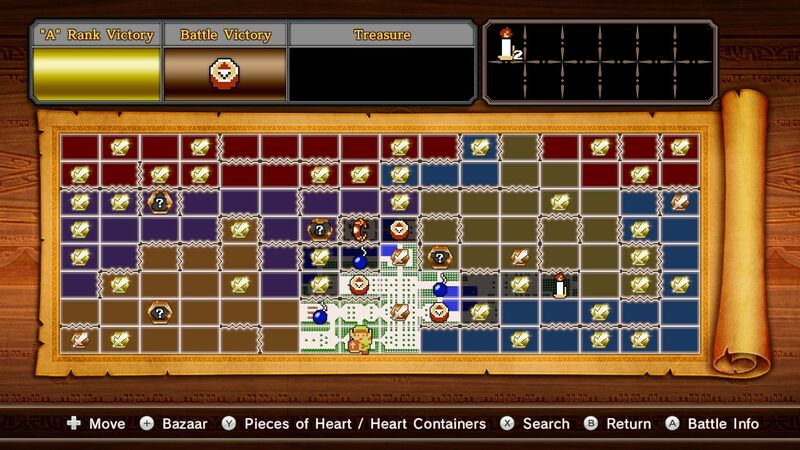 Each individual square has a battle attached to it, and here’s where things get really interesting. While some unfold as relatively conventional battles (capture keeps, defeat captains, defeat the enemy commander), others have their own specific objectives and unique mechanics. And there’s a great deal of variety, particularly once you try some challenges from maps other than the first one. Some will require you to answer quiz questions by defeating the correct enemy that corresponds to the answer you would like to give. Some task you with defending a unit like a Bombchu as it makes its way to a particular destination. Some give you skill challenges, such as defeating multiple strong foes simultaneously. And some play up the game’s quasi-multiplayer feel even more by challenging you to earn more KOs or rupees than an enemy team in a particular timeframe, or being the first to hit a specified score. Some of these objectives provide out-and-out, balls-to-the-wall action — those that require you to rack up a specific number of KOs in a time limit generally fall into this category, though these aren’t mindless by any means. Instead, you’ll come to notice as you play objectives of this type that defeating particular enemies tends to summon enemy reinforcements, allowing you to pick up the pace of your rampage, perhaps even using a well-timed Focus Spirit to increase the experience and Rupees you gain from a particularly lengthy KO combo. Others require that you take a little more care; one you’ll see quite often, for example, declares that “all hits are critical”, which means enemies only take a single hit to defeat — even if they’re powerful officers — but, correspondingly, this also means that one hit will take you down to critical health, with a second defeating you completely. As you might expect, characters with longer-range attacks are particularly valuable in these stages. The “competition” style stages are some of the most interesting, because there are generally quite a few ways you can go about winning them. Firstly, you can simply, you know, win fair and square, which generally isn’t too difficult in the earlier missions of these types you’ll encounter. Secondly, you can defeat your opponent, which temporarily puts them out of action, allowing you to rack up some points unopposed for a few seconds. Thirdly, some variants on this formula have specific mechanics for you to take advantage of. The Rupee-gathering competitions are a particular highlight in this regard. While you probably can eke out a win in these scenarios simply by defeating more enemies than your opponents, you’re best off taking advantage of the unique mechanics that put in an appearance partway into a match — because your enemies certainly will! As the match progresses, you are able to defeat Rupee Captains to earn a large chunk of Rupees in one go, defeat your opponents to steal a proportion of their Rupees and add them to your total, defeat Fairy Hunter enemies to temporarily earn a Rupee Fairy which considerably boosts Rupee drops from all enemies you defeat for a short period, and contend with a Rupee Thief, who will steal a significant chunk of your Rupees, but will give them back if you track him down when he reappears and administer some variety of painful justice to his nether regions. This isn’t to say the stages that follow the basic Warriors formula are dull by any means, mind. 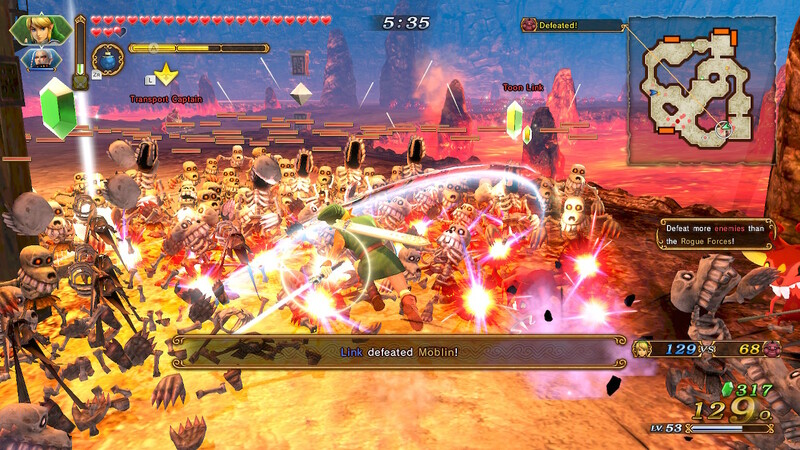 On the contrary, as you play through the various Adventure Mode scenarios of this type, you’ll encounter a variety of interesting strategic situations that provide you with meaningful choices to make — do you charge in and try to clear the stage as quickly as possible, or do you take the time to go in the opposite direction and see if the third faction on the battlefield will join your cause against your common foe, perhaps after a bit of convincing at the tip of a sword? Adventure mode isn’t just about interesting mechanics in the battles themselves, either; each of the maps have their own things going on as you gradually work your way across them. On the first The Legend of Zelda-inspired maps, you’ll need to use collectable item cards to reveal hidden passageways and treasures much as you would have done in the original game. On the Wind Waker-themed maps, you’ll need to find items cards to salvage material from the ocean and deal with headwinds that block your progress. The Majora’s Mask map has a time limit that resets the whole map it expires, along with that game’s ability to use the Song of Time to manipulate that limit. 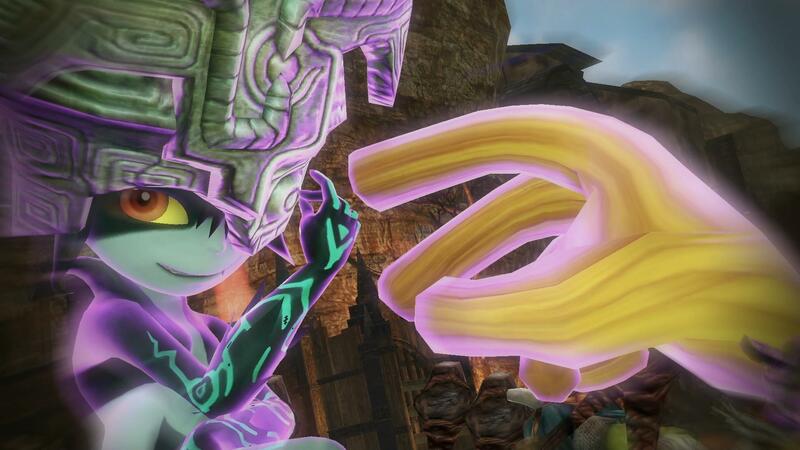 There’s a lot to learn, to be sure, but this is part of what makes Hyrule Warriors such an incredibly rewarding game. You’re not simply grinding the same things over and over again; you always have plenty of choices in what you want to do next, since there’s no requirement for you to beat one Adventure Mode map before trying another, and each one’s progress is saved separately, allowing you to jump back and forth as you see fit. And as if all that wasn’t quite enough, the 3DS version of the game went and added a whole other metagame to the mix, which was then added into the Switch’s Definitive Edition, too: My Fairy. This aspect of things actually isn’t explained all that well in the game itself, but it doesn’t take long to figure out with a bit of experimentation. Beginning with you finding a fairy in an Adventure Mode battle, My Fairy allows you to level up said fairy by feeding them food items that you initially have to unlock in other Adventure Mode battles, at which point they start randomly dropping, in all modes, just like weapons. 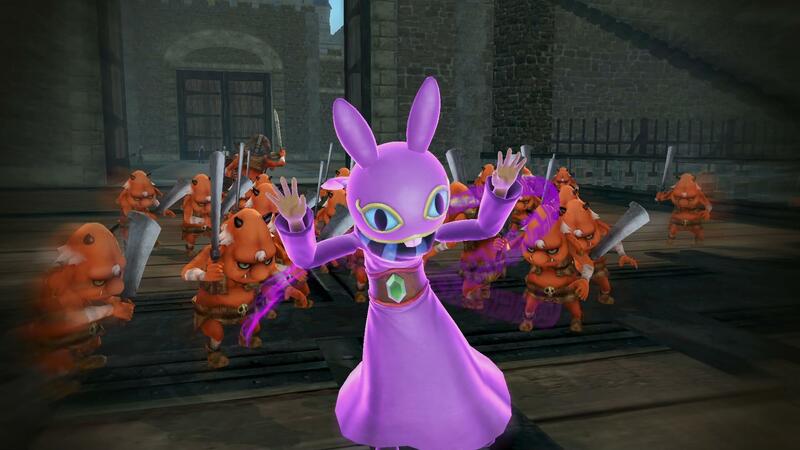 Each fairy has an elemental attribute and the ability to perform a powerful magic blast attack if you build up your magic meter in a battle; this is an incredibly potent, wide-ranging area-effect attack that can quite feasibly defeat several hundred enemies in one go, and is absolutely fantastic for clearing enemies out of a keep that is under attack. As they level up, they can add additional effects (such as buffing nearby friendly units) to this blast according to what food you give them. Probably the most useful thing about fairies, though, is their skills. Some of these are active skills that have to be manually triggered for a specific effect, others are passives that have an ongoing benefit, or activate automatically under certain circumstances. One of the first you’ll likely find has the traditional Zelda effect of reviving you once if you get knocked out, for example, while another turns you into a “glass cannon”, considerably buffing your attack power but also reducing your defense enormously. Levelling your fairies’ stats (or rather, as they’re represented here, personality traits) to learn new skills is probably the trickiest part of My Fairy. Each piece of food increases and decreases your fairy’s attributes by a particular amount, and at various milestones they will learn new skills. Higher-tier skills require considerably higher stats to unlock and might require you to make use of the “refresh” system. After level-capping a fairy at 99, refreshing them resets them to 1 with an increase to their base attributes corresponding to the progress they previously made, and the option to change one of those attributes to a different one. The reason you might want to take this latter option is because there are ten possible attributes a fairy can have, but each fairy may only have five at a time. This means some skills will be unattainable for a particular fairy until a refresh and the replacement of one of their traits with the correct one. In theory, it’s possible to pretty much “max out” a fairy with repeated refreshing, though this will take a long time and a lot of food! With this in mind, you have several available fairy slots allowing you to create different “builds” as you see fit; you begin with just three available slots, but defeating Ganon on an Adventure Mode map increases your maximum available slots, allowing you to prepare a wider variety of fairies for battle… once you’ve collected them, of course. As you can hopefully see by this point, there is a lot to Hyrule Warriors beyond simply hacking and slashing your way through the main story mode. As I’ve previously noted, though, the great thing about the game is that simply hacking and slashing your way through the main story mode and then stopping still gives you plenty of value for money… but why would you want to stop when there’s all this other fun stuff to do? 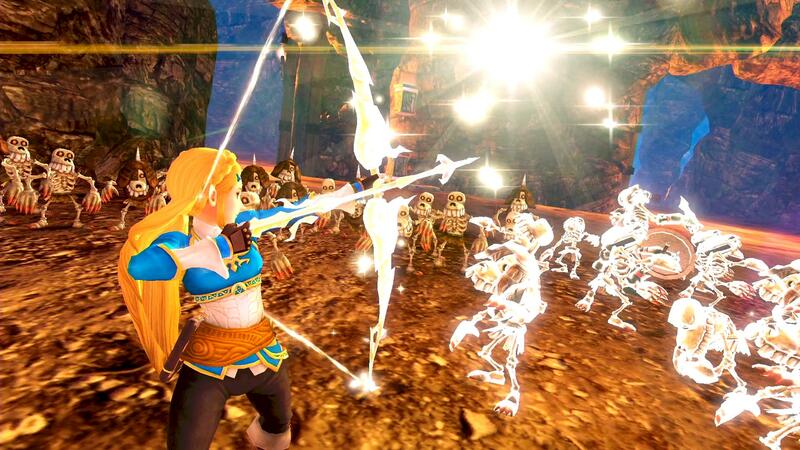 Hyrule Warriors is an impressive achievement: a single-player game with longevity that is creeping up into MMO territory. It’s a consistent pleasure to play, constantly rewarding… and an absolutely essential part of any Switch owner’s library. Grab yourself a copy and you won’t need to buy another game this year. Previous PostWii Essentials: Gradius ReBirthNext PostThe MoeGamer Podcast: Episode 6 – Bring These Games Back! I’ve got this on 3ds and never felt the need to carry on. I unlocked all characters and completed story mode. 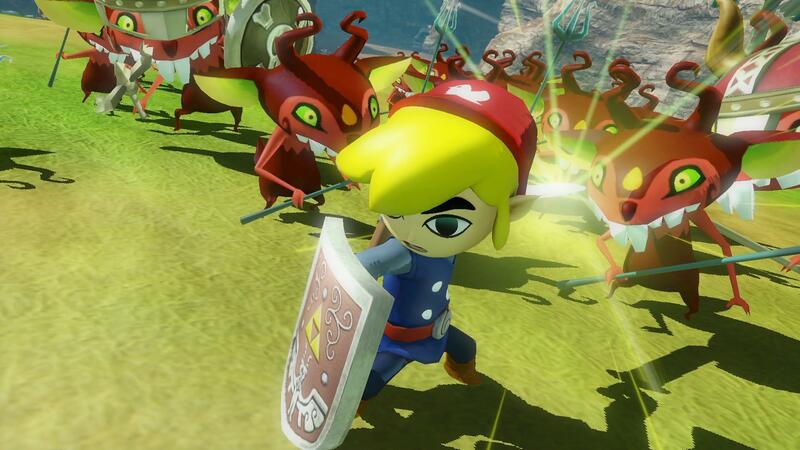 The reason why I never came back is because 3ds only has legend, free and adventure mode. With all of adventure mode gone from unlocking all characters legend and free is only left. I don’t want to replay these because their all so similar and it feels like theirs no reason too. Also playing on higher difficulty modes felt pointless because all it would do would make the bosses harder, and it already takes a long time to defeat bosses anyway and it would just make it pointlessly longer. I also hated how if your main base got destroyed then the game was over, I hated that, if you’re alive it’s not difficult to take keeps back. The amount of content for the cost of entry is incredible. I doubt I’ll ever finish the adventure maps!